This note is specifically for people on a ketogenic low carb diet and is referring to “nutritional ketosis” or the process of burning ketones for fuel/energy instead of glucose for both weight loss and health benefits. Interesting, how will you add coconut oil once per day? I have a hard time taking a spoonful. How about coconut oil capsules? Would they work? Thanks. I would just mix it with a stronger ratio of coconut oil to peanut butter and melt it together and put it in a square candy mold to make the taste & texture EASY. I might test both – having a tbsp in a coffee with butter & cream, and using the peanut butter mix – to see if there’s any difference. 2. that taking ketones exogenously prevents the body from producing them endogenously because the body sees them coming in and thus doesn’t need to produce them. Two of my trusted keto sources (Dr. Eric Berg and Thomas DeLauer) don’t recommend taking them. BUT, I’d be very curious to see what you come up with if you experiment with them. Good luck! I lost the most weight always on a low carb low fat diet where your body had to use its own store if ketones—- not added ketones. Well, I’m confused! :). I add 2 TBSP of coconut oil to my “cereal” (yogurt, pecans, strawberries), (I use yogurt instead of cottage cheese, still 1/4 cup) every morning. So is adding coconut oil a good thing or a bad thing? The whole Keto diet to my understanding was to eat more oil? I have a Precision Xtra Blood Ketone Meter, have had one for about a year now, when I’m in Ketosis (I’m not now, :(, didn’t have one glass of wine for 6 months but started drinking wine again and it kicked me out), but when I was in Ketosis it usually read from 0.5 to 1.2, averaging 0.7 to 0.9 with a high of 1.2. I have the opposite experience than you with the test strips? 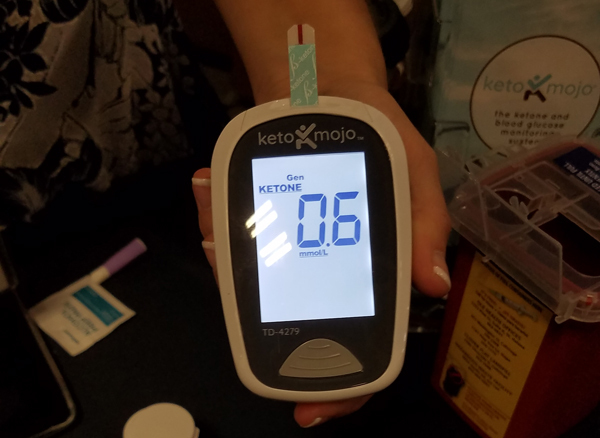 They show me out of ketosis, when the blood meter shows 0.5? So again, should I be adding coconut oil to my breakfasts every morning or is that not a good thing?? Thanks SO much Lynn for all of your reading and research for us, I do appreciate it. Hi Roye 🙂 It’s always great to hear from you! The coconut oil is fine if 1) you are IN ketosis, or 2) you are trying to GET into ketosis. 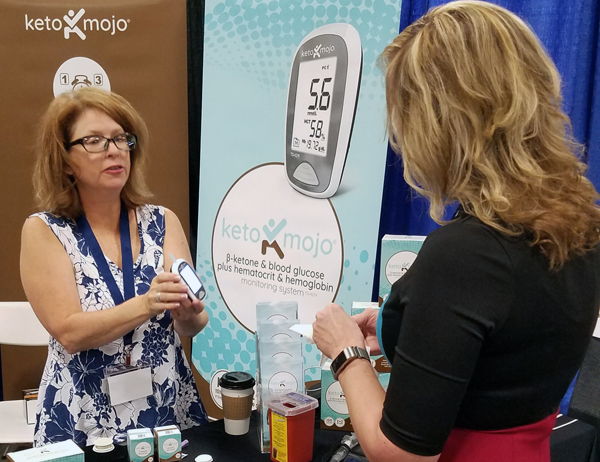 If you are OUT of ketosis and know you are going to be, meaning you are not in fat burning mode and not working toward that, you don’t want to add the extra fat to your diet while your body is running on carbs/sugar. But yes, in general, on a ketogenic low carb diet including MCT oil is a GOOD thing. 🙂 I hope that made sense! Hi Lynn, great talking to you too, thank you for your reply. And well yeah! DUH lol, of course I shouldn’t be eating more fat if I’m not burning fat. I was doing so good! :(, lost 25lbs since Jan, but have fallen off with the vino. I’ll get back to it soon I hope. Too bad I can’t lose and drink wine, it’s not fair. :). Thank you & you’re welcome! 🙂 There IS low carb and keto friendly wine. That’s something you should look into!! Thanks again Lynn, I won’t keep laboring the issue :), but I do drink a low carb red wine; Cabernet Sauvignon, about 3.5 to 3.8 g of carbs per 5 ounce serving. Trouble is I don’t have just one serving :-O. And I understand the issue is when you drink alcohol your body burns that first before it starts burning fat. So I don’t really gain weight but I don’t lose any either when I’m partaking :). Ah, gotcha – but it also throws you out of ketosis, yes?? Had to hit reply here, didn’t see a reply under your last post. And yes I’m assuming that’s what’s doing it, I’m still eating LC. Just tested with the blood meter and I’m at 0.4. And Oh My those testing strips are so expensive! 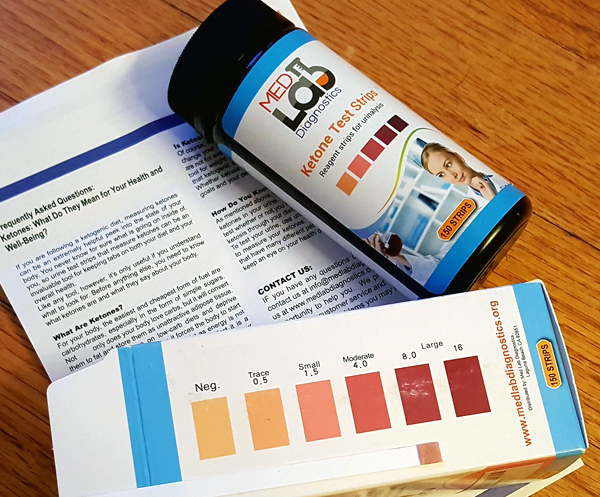 Have you ever done a “clean test” on the wine to see if that’s what is throwing you out of ketosis – or could there possibly be another culprit? Do you also do blood glucose testing to see if the wine spikes your levels – affecting your ketones? The KM strips are comparable in price to any other on the market, but what I like about them is that they’re made & shipped from within the USA. Since they are temp sensitive, they are much more reliable than say something you get that is made and shipped from overseas – which the majority are. I’m thinking it’s the wine but no I’ve never really done a clean test to see. Plus since I’m out of ketosis, I’ve been bad now with the food too….sigh sigh sigh. I just need to get back on track. I will, I will. Thanks so much Lynn for all your help. You’re so good, I don’t know how you keep up with everyone and all you do. It’s appreciated! You feel best when you’re eating good and losing weight, right? Losing 25 pounds earlier this year was awesome!! I’m sure it FELT awesome too. What is the best time to check your blood glucose to see if a certain food is spiking your blood sugar? definitely interested in seeing your response to carnivore diet! Me too, Connie! I have visions of ribeyes and chopped steak and pork chops that make me 🙂 🙂 🙂 smile. haha! I’ve been following a fun group of “keto carnivores” on Twitter for awhile now and enjoy what they share. I’m really interested in the Ketone numbers… from your tests. 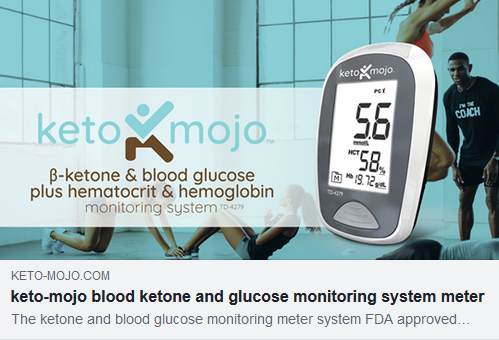 I’m diabetic so I’m used to tracking glucose but have never tracked or looked at ketones before. Obviously everyone is very different, but it will be interesting to see what patterns emerge for you. And I just ordered the Keto test strips .Thanks for the awesome coupon! Hi Tracie 🙂 Great to hear from you! First, how are you tracking? And are you doing 20 net carbs max and 70% fat minimum consistently? Or what are you doing/tracking exactly? Also, did you take measurements and have you seen any change there, even with the scales barely fluctuating? Thank you for your response! I am doing 20 net carbs using my fitness pal, I did take measurements and they have not changed either. No change in the way my clothes fit. I am not giving up lol. This week I am cutting out diet sodas and all artificial sweetners other than erythitiol and see if that helps. I looked back on my macros last month and it looks like i wasn’t meeting my 70% on fats and going over in my protein so maybe that is the hold up. Keep in mind that adding cardio, or any exercise, will present itself as a stall or fluctuations on the scales – due to inflammation, muscle recovery, and body composition changes – burning fat but building lean muscle, etc. I can’t wait to hear the results! I’d like to see more on carnivore and if there are any benefits or improvements worth switching to more meat..right now I feel better and less hungry with high fat moderate protein…I’m keto over 3 yrs but did one day carnivore and was starving the next day which I didnt like at all!..I just dont get hungry much on keto…good article! The key with keto carnivore is that you still maintain a high fat ratio, which is easy enough to do. You don’t want to eat lean AND high protein, but rather fatty meats – and meat products, including dairy and eggs. So salmon instead of whitefish or other seafood, tuna/sardines, ribeye instead of sirloin, chicken thighs & wings instead of breasts, etc. I’ve seen them use bacon grease, mayo, heavy cream, butter, eggs, etc too. Thanks for the reply..I felt like I kept it pretty high fat..sardines for lunch and double cheeseburger for dinner which I’m sure wasn’t lean ..I’m intrigued but at the same time keto works for me so idk…I’ll watch your experience if you do it..I’m following others and trying to learn..I do still have some gut issues so I thought it might help. More green vegetables (the greener/darker the better). The fiber carries gut bacteria out of your body with it. A probiotic. I picked up a high potency one at Walgreens and take it daily now. Bone broth and Collagen. I like the Ketologie Roast Chicken Broth: https://www.travelinglowcarb.com/ketobroth because it already has the collagen in it. But both are supposed to be great for gut health. good reminder, yea I will probably stick with keto, it’s been really great to get rid of my inflammation and I like not being super hungry and controlled by food. I actually work at a holistic medical clinic and also do these things you mentioned, rotating very potent probiotics, collagen, bone broth etc…I love it! 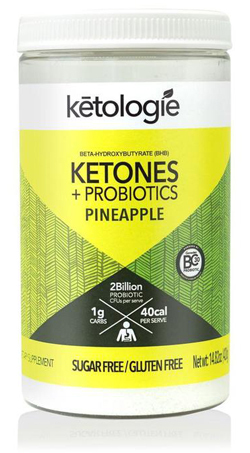 We carry the perfect keto brand here so it’s easy for me to get… things just take time to improve after antibiotics as you know!…I love your traveling food ideas by the way they suit my style of low maintenance perfectly 🙂 I may try this ketologie brand though, thanks for the links! I’m so glad it’s helpful, and very cool you have access to all of that! I just got the MojoKeto Meter. I love mine. 🙂 How are you liking it so far, Doris? Did you check out all the videos on their website? I found those VERY helpful! So did I. Today is the first day testing it. 2.3 first thing this morning, and 1.2 after lunch. Is that typical? If you read this article you already know there’s nothing “typical” 🙂 lol. But anything over 0.5 means IN ketosis, so those readings are totally fine. 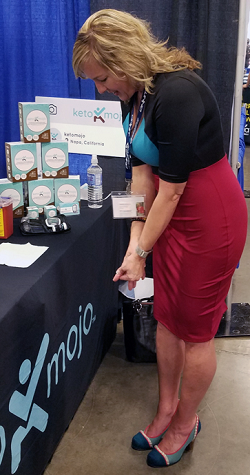 Mine are lower consistently because I’ve been eating keto for so long now (ranging 0.8 to 1.2 usually) – your body will get more efficient and producing and using ketones over time from what I understand. I just ordered the KetoMojo meter! I’m being a baby but I worry about the finger stick – but the video made it look pretty easy so I think I can do it! Hopefully this will get me back on track. Ive been trying so may different things but sticking to none. I just started with IF, so hopefully that paired with keto and some exercise will start working. Any exercise is fine. Some people don’t exercise, some do power lifting, some do cardio, some do body weights – exercise is healthy, just do what you enjoy! Exercise is NOT for weight loss, by the way. It’s healthy, it FEELS GOOD, and it’s great for building lean muscle and toning your body. 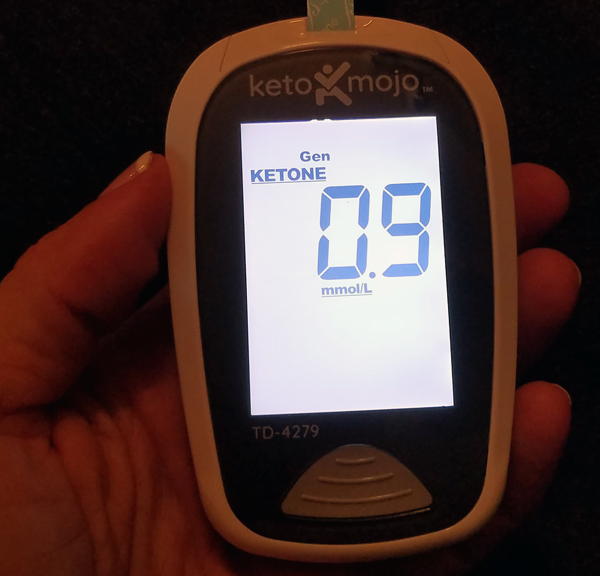 I LOVE the Keto-Mojo and the finger stick is so easy. It’s so helpful to know whether you’re in ketosis or not…I can’t seem to get above 1.0 on the meter. I think I need to up my fat, because on average I log about 60%-70% fat (but usually in the 60’s). So I have to figure out a way to get more fat…maybe BPC, and pecans. I’m rarely hungry now, and eat only lunch and dinner. Waiting for my granola! And yes – you are right. I think trying too many things and not sticking to one is definitely my problem. I think if I have some success, it will be easier and I’ll be more motivated to be consistent. Also, I saw you were in Long Beach this weekend…I live close by! Wish we could have done a meet-up! I love your simple suggestions. Thanks for all the advice. Keto on! I’ve had my meter for 2 weeks now, and I test every morning. I usually get a reading anywhere from 0.9 to 1.2. Sometimes I test later in the day and it’s usually still in that range, so I know I’m in ketosis. I’ve also been doing some days of intermittent fasting (16:8). However, I’ve only lost 3 lbs since starting back on Keto January 1st, and that happened in the first week. This is what I don’t understand: I have not given up alcohol (typically a couple glasses of red wine, or a few ounces of bourbon). How can I stay in ketosis and yet not lose any weight? I really enjoy my wine and hate the thought of giving it up.